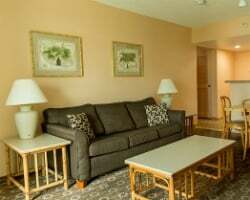 *Mare St. Clair Collection Resort* is located on Isla Verde, one of the most popular tourist areas in Puerto Rico and famous for its beaches, restaurants, casinos and entertainment. All the wonderful amenities you would expect are here at ESJ Towers! Enjoy 2 weeks every year! Week 36 & 37! RTU in perpetuity! Buyer may receive a title fee credit, inquire for details! Fantastic resort located right on the beach! August 17 through September 1st, 2019! Buyer may receive a title fee credit, inquire for details! 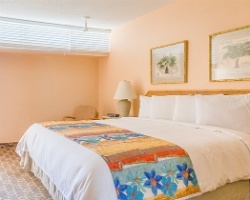 Lovely oceanfront suite with stunning views! Weeks 20 & 21! Buyer may receive a title fee credit, inquire for details! 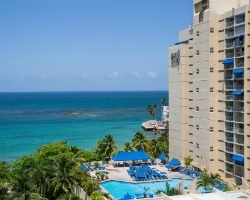 Lovely beachfront location in Puerto Rico! Week 11 & 12! Buyer may receive a title fee credit, inquire for details! Newly renovated! Weeks are available now for the buyer! Buyer may receive a title fee credit, inquire for details! Beautiful resort in the Island Of Puerto Rico! Enjoy the tropical weather. Week 1 & 2 (Jan 4th- Jan 19th). Great deal for a quick sale! Make an offer! Beautiful resort in the island of Puerto Rico! Enjoy the tropical weather. Week 3 & 4 (Jan 19th- Feb 3rd). Great deal for a quick sale! Make an offer! Explore the beautiful island of Puerto Rico! Week 5 & 6 (Feb 3rd- Feb- 18th). Priced for a quick sale! Bonus week included! Make an offer! Vacation 2 weeks every year! Week 43 and 44 on the same contract! Buyer may receive a title fee credit, inquire for details! Beautiful oceanfront resort! Floating week! RTU in perpetuity! Buyer may receive a title fee credit, inquire for details! Enjoy 2 week vacations every year! Week 46 and 47! Buyer may receive a title fee credit, inquire for details! Enjoy week 9 and 10 each year at this fantastic resort! Located right on the beach! Buyer may receive a title fee credit, inquire for details! Enjoy 2 weeks vacation every year! Weeks 11 & 12! Buyer may receive a title fee credit, inquire for details! Odd year week 15 usage! RTU until 2045! Buyer may receive a title fee credit, inquire for details! Enjoy back-to-back week vacations! Weeks 20 & 21 every year! Buyer may receive a title fee credit, inquire for details! Beautiful oceanfront efficiency! Weeks 16 & 17 every year! Buyer may receive a title fee credit, inquire for details! Fantastic resort located right on the beach! Weeks 26 & 27 each year! Buyer may receive a title fee credit, inquire for details! Ocean view! Enjoy consecutive weeks 15 & 16 each year! 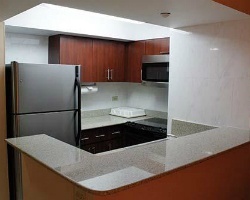 Perfect for extended vacations in Puerto Rico! Make an offer today! Enjoy May 19th through June 3rd each year! Buyer may receive a title fee credit, inquire for details! Prime location close to plenty of activities available for all ages to enjoy! Usage is annual in weeks 30 and 31! Sale includes 2 back to back weeks! Week 13 and 14! Buyer may receive a title fee credit, inquire for details! Beautiful location in Puerto Rico! Buyer may receive a title fee credit, inquire for details! Two back-to-back weeks a year-- week 36 & 37! RTU until 2040! Buyer may receive a title fee credit, inquire for details!